I can't believe its been six years since I first featured Leicester one-man death metal machine Foul Body Autopsy. That review was about the band's 2013 EP "The Epidemic Sickening The World" and you can read it here. 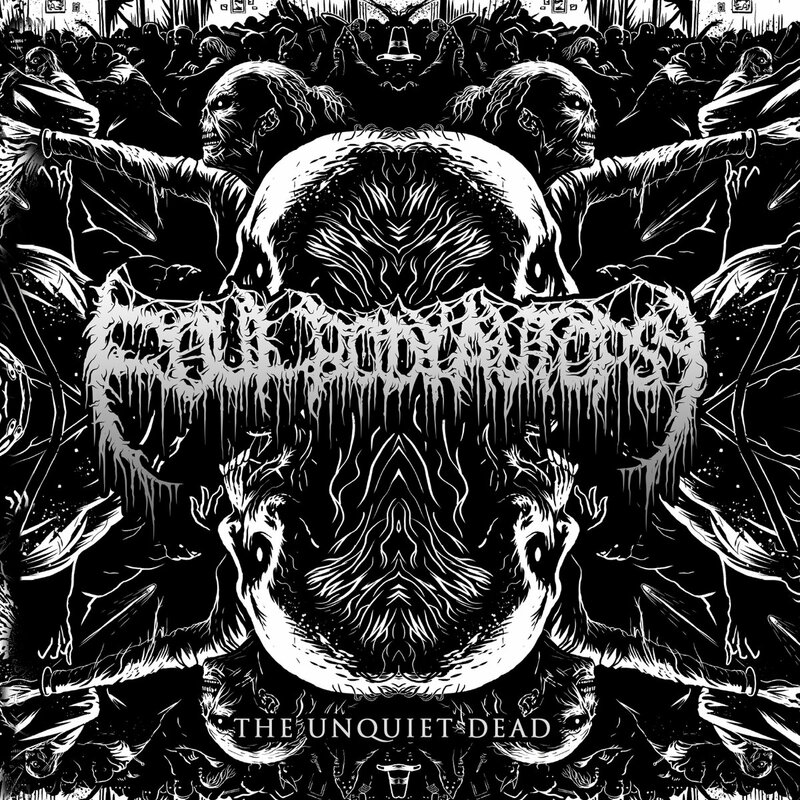 Fast forward to 2019 and FBA offers a teasing EP in the form of "The Unquiet Dead". FBA has played Bloodstock Open Air twice and has shared stages with heavy hitters like General Surgery and Thy Art Is Murder, so it's a mystery as to why the band isn't more well known. Hopefully this EP will change that. 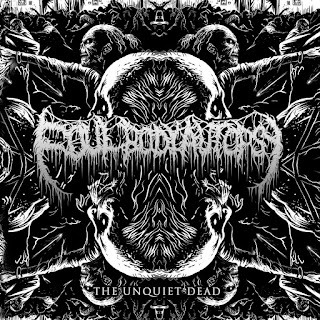 The first thing that strikes you when hitting play on Consumed By Decay and the melodic intro, which is quite symphonic (in a similar vein to Dark Tranquillity). The remainder of the song is very strong and it’s mid-tempo nature allows FBA to focus on making it catchy and precise. It’s accessible to those venturing into death metal for the first time but it’s by no means a pop song, just remember that. The extremity ratchets up on The Impending Darkness. The percussion is faster and there’s a great off-kilter technicality to it. The growls are dragged deep from the old-school and it’s urgency is obvious. This is certainly more old-school death than modern day melodic death. Closing song Searching For Sanctuary once again follows the same path as the EP’s opener and there’s no complaining as the catchiness is back and the song-writing is stellar. It’s hard to believe that it’s all come from the head of one person but Tom’s a seasoned vet at this now and it shows. The production that was done by Russ Russell adds a sheen that makes it sound even better, especially where that melody is concerned and the solo towards the end is class. Yes, this may feel like a bit of a teaser, but it’s good enough to standalone and it does just that. Don’t be fooled by the extreme logo and cover art, this isn't your standard blastbeats and gargles affair. Give it your full support!